The Professional editions offer accurate and official code information that integrates all Medicare code edits crucial to appropriate reimbursement. Our enhanced pages now offer even more intuitive symbols and color coding. 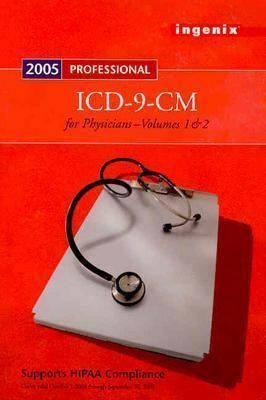 Plus, the latest revisions to the complete official coding guidelines are included.Ingenix is the author of 'Icd-9-cm Profess.f/physic.,2005,v.1+2' with ISBN 9781563375835 and ISBN 1563375834. Loading marketplace prices 4 copies from $15.83 How does the rental process work?